First, there’s the (horizontal) aspect; who makes the decision at the end of this conversation? Is the final decision way over on your side as the leader, or is it way over on the team member’s side? Or do you want the decision to be somewhere in between? 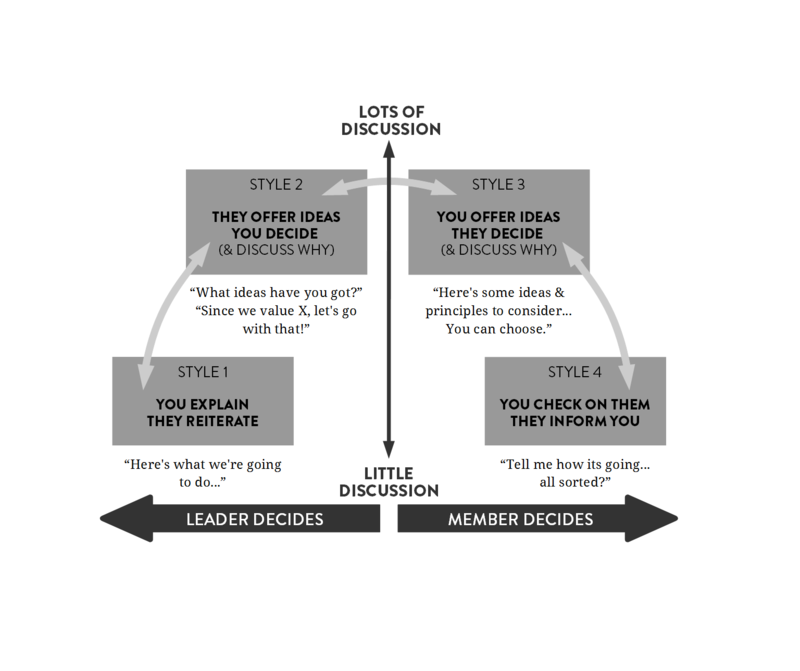 Second, there’s the (vertical) aspect; how much discussion takes place between you and the team member? You might have heaps of discussion about an idea or option, or you might have very little discussion at all. The diagram below presents four possible alternatives when leading. We call them the four leadership styles. They follow a particular path where the more you want a mutual decision, the more discussion is required.